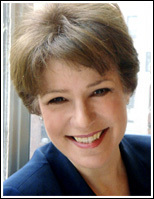 Jackie Leo, former Editor-in-Chief, Reader's Digest and author of "Seven: The Number for Happiness, Love, and Success"
“David Eastis has a clear understanding of the power of seven to influence choices and behavior. Insightful and entertaining, '7' gives readers new reasons to rethink why so much of the world is organized by this magic number. Seven is not just a number—it’s a gift. It can lift your spirit and help you see the world in new ways." 'It was enjoyable to see how people were resonating with the number seven,' Eastis said. He also traces some of the roots of the cultural connection to seven, examining its importance in many religious traditions. Local readers, who can find the book at The Avid Reader, will enjoy trivia about UC Davis (a name, Eastisnotes, that has seven letters). He cites the fact that the campus was declared the seventh in the University of California system in 1959 and that the original campus was 777 acres. The book also makes note of the 'seven whimsical and though-provoking egghead sculptures' created by Robert Arneson. Joe DePinto, president and CEO of 7-Eleven Inc. The book is not a conspiratorial screed filled with apocalyptic numerology or anything remotely similar. Instead, Eastis takes a more populist approach. He includes song lyrics, movie titles, pop-culture references and even an entire chapter (the seventh one) on the marketing panache of the number seven, as in 7-Eleven, 7-Up, Jack Daniel's Old No. 7 Brand, the 7-Layer Burrito at Taco Bell and Seagram's 7 whisky. Of course, we can go onand on—the Seven Dwarfs, the seven chakras, the seven notes of the musical octave, the Seven Seas, the seven lucky Japanese gods, the colors of the rainbow, the pillars of wisdom, the continents, the samurai, the Wonders of the World, the seas and how 007 James Bond was briefly renamed 7777 in You Only Live Twice. Washington Post journalist and founder of “On Faith"
If David Eastis has a thing for the number seven — and he most certainly does — it’s just because the number is so darned ubiquitous. Seven days in the week. Seventh heaven. Seven deadly sins. Seven wonders of the ancient world. Seven seas. Seven continents. 7-Eleven. 7-Up. 7 jeans. Which is basically the point of a book Eastis has written, entitled “7: The Magical, Amazing and Popular Number Seven.” Published in 2012 by Aventine Press — Aventine being one of the seven hills of Rome — the 307-page book is a compilation of the number’s prominence in pop culture, sports, religion, art, advertising and just about anywhere else you can think of. “For as long as I can remember it’s been my favorite number,” said Eastis who, appropriately enough, is 47. In his career, Eastis has oscillated between the business world and charity work. He graduated from Claremont McKenna College, where he became a Harry S. Truman Scholar. Eastis worked with founding president Millard Fuller for Habitat for Humanity at its headquarters in Americus, Ga. — where, by the way, he got to know former President Jimmy Carter and his wife, Rosalynn. Eastis set up the first 77 — there’s that number again — campus chapters of Habitat for Humanity. There are now over 1,000 chapters around the world. In the early 1990s, it was back to the business world and the San Jose area. Getting in on the ground floor of a prepaid telephone card start-up, Eastis headed up marketing and directed celebrity projects such as Elvis Presley, President Kennedy, Steffi Graf, Norman Rockwell and Yvonne Craig, the original Batgirl — on the cards, which have become collector’s items. “They’re miniature canvases of art,” he said. By the late 1990s he had returned once again to the charity realm, working this time for the American Red Cross as a fundraiser. He started putting together his seven book in 2004, when he was newly married and living in Italy. An avid photographer, his original thought was to do a coffee-table book. But he ended up deciding that a chronicle of how often the number pops up would be more effective. Cynics, of course, might say that Eastis has an overactive imagination. But given the sheer number of examples he cites — everything from the musical scale consisting of seven notes to the seven colors in a rainbow — it’s hard not to think Eastis is onto something. The question is onto what? Eastis has a ready explanation for why the number is so frequently incorporated in the names of products — think Seagram’s Seven — or the titles of books, films and songs such as "The Secret Seven" by Enid Blyton, “Seven Pounds,” which starred Will Smith, "7 Habits of Highly Effective People" by Stephen Covey, Nathaniel Hawthorne’s "The House of the Seven Gables", "The Seven Dials Mystery" authored by Agatha Christie, Miley Cyrus' "7 Things", "Seven Towers" by Patricia Wrede, 007--the world's most famous spy, and Seventh Generation products. “It sells,” he said. But why it sells — why the number has such an attraction — is more mysterious. “A lot of people feel a bond to it. It’s considered a sacred number and a lucky number. Seven resonates with people,” Eastis said. "Seven has always been my favorite and lucky number. As a jeweler, I have customers who commission me to make unique pieces with 7 as the central theme. These creations become meaningful ‘lucky charms’ to people who like 7. For me, seven is an amazing number which is present in my life. The book about seven is marvelous!" "I'm glad to be among the people who have a special connection to 7, like Anthony Kennedy Shriver, whose names are spelled with three seven-letter words. Seven has always been one of my favorite numbers. When I see 7 it's uplifting and associated with good fortune. I knew seven was a popular number but until I read this fun and detailed seven book by David Eastis—the author who has made the 7-phenomenon come to life—I wasn't as aware that 7 is everywhere." "There were seven children in my family. My Dad always told me 7 was lucky for him when he played poker. The Cathedral features the seven sacraments on the four pillars holding up the dome. Each sacrament is represented by a symbol. Seven is a sacred and special number for so many people. "Humans are hardwired to find patterns in the world around us. We form theories around these patterns…we give number-based coincidences a certain level of importance in our lives. Some people even use numbers to make decisions, entrusting their futures to superstitions based on numbers. The Magical, Amazing and Popular Number Seven is an exploration of all things seven... It amasses an impressive amount of trivia based around the number seven, letting the reader explore the influence the number seven has had on pop culture and popular thinking. You'd be hard-pressed to find someone who couldn't find plenty of fun little nuggets of trivia between its pages." "No book about seven would be complete without paying homage to a heptad of deserving individuals and organizations. In this 7 book, I salute the many exceptional athletes who wore No. 7, including John Elway, Mickey Mantle and Boomer Esiason. My seven book also pays homage to the ubiquitous 7-Eleven stores, legendary Jack Daniel’s Old No. 7 and the fabled 7 wonders of the world. And, of course, one of my favorites – 007, the world’s most famous spy. I had seven times more fun than anyone should have had writing this first-ever book about seven. I hope after reading “7” that you are as amazed as I am to know that great things come in sevens." 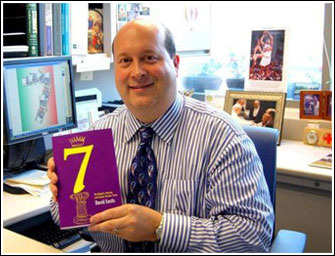 David Eastis wonders if your magical and amazing number is 7?